“Old habits die hard”. When I used to work as a product manager in the software industry, the first thing I used to check at work is the product metrics dashboard. Now, when I sit in front of my computer, the first thing I check is my blog statistics. I love to see the metrics on overall page visits and the list of blogposts that are being viewed the most. Among the many articles I wrote on processed foods last year, can you guess the top 2 products (based on number of views)? The two product reviews that have brought in the maximum views so far are Nestle Ceregrow and Pediasure / Horlicks Growth Plus. The irony is that both of these products are targeting growing children. And parents are desperate to seek solutions that will make their children grow taller, faster, heavier and what not. Obsession towards growth is not just observed in the startup world but even in parenting. I will not be surprised if a new term called "growth hacking your child’s development" becomes a common phrase. And a new breed of growth hackers from the nutritionists world would build a career out of it, promising “high growth” for your kids. First and foremost, let’s stop comparing our child’s vital parameters (height, weight) with other children. No two children are the same. There are multiple factors that influence the height and weight of our kids. Let’s not worry about the numbers shown on the scale. Based on what I’ve read and researched, there are three factors that influence the growth of young children - nutrition, physical activity and sleep. Physical activity and outdoor play are so important for our kid’s growth. 1-2 hour of outdoor play is a must on a daily basis. It helps in blood circulation, stretching of muscles, getting some sunlight (vitamin D) and fresh air. There are so many other benefits of outdoor play linked to the child's mental growth as well. I have heard from a couple of nannies that they are not allowed to take the child out for play, due to fear of mosquito bites. Are we “throwing the baby out with the bathwater” because of our fear of mosquitoes, germs, mud, sand, tan, sunburn etc? Let’s “allow" our kids to play outdoors everyday. Let’s keep a watch but at the same time encourage them to stretch their limits. My 6-year old daughter loves to hang from the monkey bar in the play area. This activity has really helped her with consistent increase in her height. She doesn’t drink any of those packaged malted drinks that promise 2X height. A common pattern I have observed is that infants and toddlers brought up on packaged cereal (Cerelac) and formula milk (Lactogen) have poor eating habits when it comes to regular table foods, vegetables and fruits. There might be exceptions to this pattern of course! The packaged cereal is loaded with so much sugar and additives that infants hate the taste of bland boiled veggies and fruits. As they grow up, they tend to become more addictive to these gooey sweetened cereals and they would avoid any home-cooked regular foods that involve a bit of chewing. They are then labeled as “fussy eaters” and end up becoming the target segment of “high-growth” promising products such as Ceregrow and Pediasure. 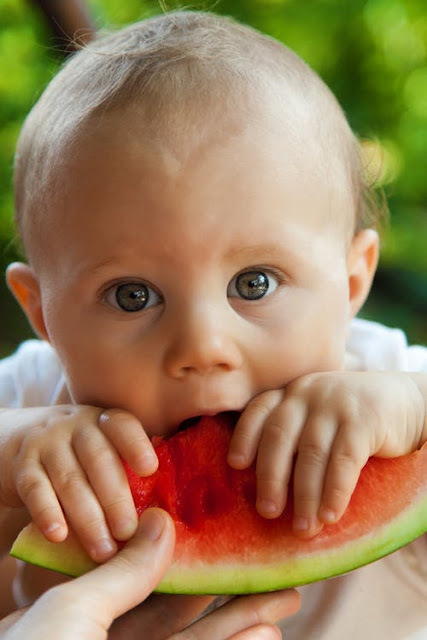 Please refer to these 2 articles I had written earlier on nutrition for infants - Part I and II. I have also shared a few recipes to introduce fruits and veggies. The first two years of your child are extremely crucial - one that can influence their future eating habits. If you could invest your time and effort towards introducing various fruits, veggies and home-cooked foods, that can go a long way in building a positive mindset in your child towards healthy foods. Wanted to check with you what can mixed with milk for kids around 6 years and 10 years on a daily basis.